We were moving from outside the area and were looking for a realtor who was knowledgeable about the area; one who could guide us in our selection process. Susan asked good questions and listened closely to our responses. The biggest concern for us was not knowing what we didn't know so to speak. Susan helped us a lot in this area. We were living outside the area during our selection process. Susan did an excellent job of previewing properties and helping us to narrow our search to only the properties that met our needs. We were able to find and close on a property within the time frame we had originally laid out to Susan and are now living happily in our Sedona home! 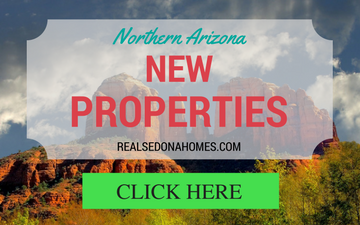 12/04/2016 - lindaj3231 Bought a home in 2016 in Big Park, Sedona, AZ 86351. We have worked with numerous realtors over the years, in several different cities in both Canada and the US, and would rate Susan in the top 10% (tied with one other for the first place). We were in Sedona for only a week and she was extremely attentive to our desire to look at a number of properties on a tight time frame. The negotiation took some time after we left and she pushed very hard to get the property for an affordable price. We always felt that she had our best interest in mind and was not just working for a quick commission. In fact we got the property for a bit less than we were willing to pay chiefly due to her negotiating skills. We would use her again in a minute and definitely recommend her to others. 8/02/2016 - forster reich7 Bought a Single Family home in 2016 for approximately $175K in Sedona, AZ. Susan should be your Realtor. 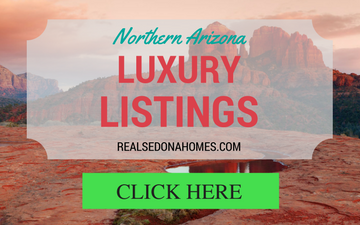 She meticulously led us through our journey to realize the magic that is Sedona and Northern Arizona and to understand the Sedona housing market from 2011-2013. With her close guidance we found the perfect home and purchased it in July 2013. She is personable, knowledgable, caring, a great listener and always here for her customers. In our case we have become close friends and neighbors. Jackpot!! 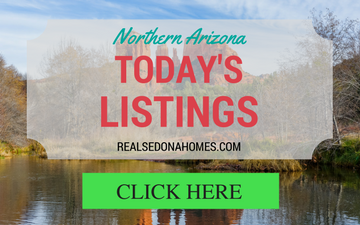 01/30/2015 - henkhaus94 Bought a Single Family home in 2013 for approximately $575K in Sedona, AZ. We had been considering a move to Arizona for a few years. The first realtor we worked with several years ago was very pushy, was trying to force us into a quick decision about purchasing in the area and just made us feel uncomfortable. Fast forward 18 months. We love the area and wanted to give another house hunt a try. Finding Susan was luck on our side. Susan is very patient, taking her time giving us area information and answering the many questions we had. The week we were there Susan took us to view a variety of homes so we would get an idea of what we wanted - there are many styles and price levels to consider. A couple months after we got home Susan helped us purchase an Arizona home for our future from our current Illinois home. Since we were going to rent the home for a couple years prior to our permanent move, I needed to get some work done on the home. Susan and Troy allowed me to send my work supplies ahead to them and once there I borrowed a ladder and vacuums from them. Their website has a lot of information. I used a number of recommend service contractors. All worked out great. I thank them for their patience and understanding of purchasing a home from 1700 miles away. 10/25/2014 - mlcextra Bought a Single Family home in 2014 for approximately $200K in Sedona, AZ. We recently moved to Northern Arizona and consider ourselves to be very lucky to have met Susan. She helped us with our relocation, purchasing of a new home and an income property. Susan exceeded our expectation during every phase of our move, purchases and settling in. Her local knowledge combined with her interpretation of what we were looking for helped us to find the perfect home for us. She was a consummate professional through the entire process and we feel like we got a great deal! Also we continue to use her website as a resource for finding local tradesman, utilities information and any other resource a homeowner needs. We look forward to using Susan again when its time to upgrade or buy another investment property. 05/29/2014 - user8152393 Bought a Vacant Land home in 2013 for approximately $100K in Sedona, AZ.